Everything. It is basic, but nice. Also, free dish washing soup. Jewish quarter. Comfy place, Underground just in 1 minute. Lots of food shops and supermarkets. Very close to the Ubahn. Clean, comfortable. Easy to get in. The owner sent great instructions beforehand and was very responsive to email. Comfortable to stay. It's near subway station and tram. It's good location. Only a block away from the subway. Wonderful cafe for breakfast as well. The whole process of getting keys / getting in / getting out is easy with the electronic key system - host sent us the door code and key lock code in email before we arrived - did not have to wait for anything. We also were able to drop off our bags while the room was being made up. The apartement is located near St. Stephans cathedral, about 30 min walk. Nearby metro station. The apartment was great, very clean and comfortable. The host called prior to our arrival to check whether we received all necessary codes for the self-check in. The self-check in explanations we received via mail, included also photos and easy to uderstand instructions. Provided could be also a parking at extra cost, 2 minutes away from the apartment. The apartment is great, very clean, all facility is new. Location is great, metro is 50 meters from the apartment. Many bakery and shops on the street. Excellent for grpups and family's. 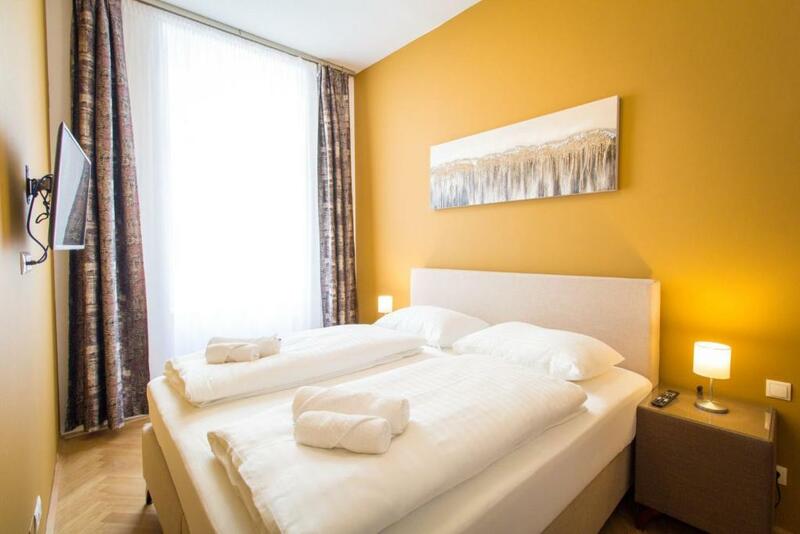 Lock in a great price for Vienna Stay Apartments Tabor 1020 – rated 8.8 by recent guests! 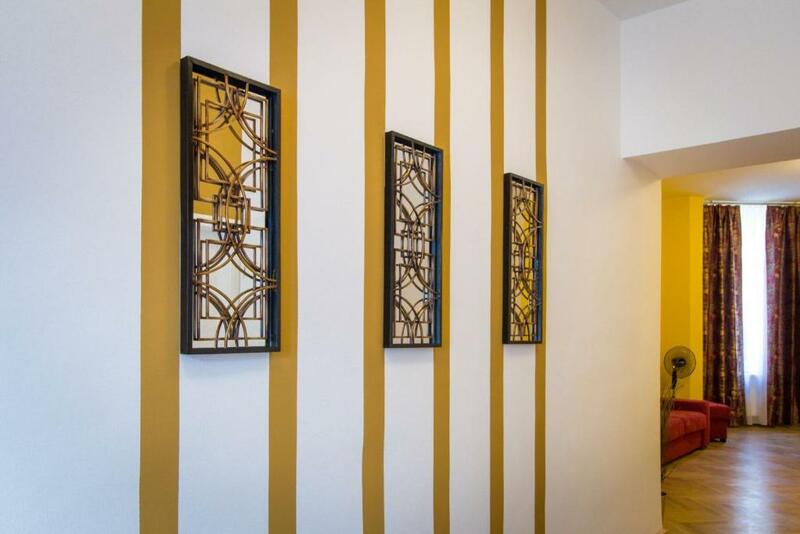 Vienna Stay Apartments Tabor 1020 This rating is a reflection of how the property compares to the industry standard when it comes to price, facilities and services available. It's based on a self-evaluation by the property. Use this rating to help choose your stay! 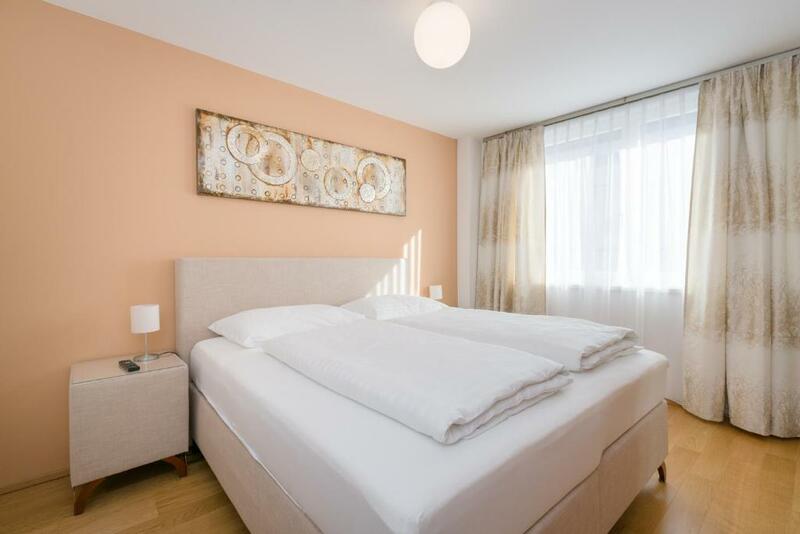 One of our top picks in Vienna.Set in Vienna, Vienna Stay Apartments Tabor 1020 is 0.6 mi from Giant Ferris Wheel and only a few steps from the U2 Taborstraße Metro Station. Vienna Prater is 0.7 mi from the property. Free WiFi is provided . The accommodations features a cable flat-screen TV. Some units have a dining area and/or terrace. There is also a kitchen, fitted with a microwave and toaster. A refrigerator and stovetop are also featured, as well as a coffee machine. Each unit is equipped with a private bathroom with a shower and a hair dryer. Towels are offered. St. Stephen's Cathedral is 0.9 mi from Vienna Stay Apartments Tabor 1020. The nearest airport is Vienna International Airport, 11 mi from the property. When would you like to stay at Vienna Stay Apartments Tabor 1020? This apartment has a toaster, tile/marble floor and sofa. This apartment has a dining area, kitchen and tile/marble floor. This apartment has a cable TV, stovetop and washing machine. This apartment features a electric kettle, kitchenware and tile/marble floor. This apartment has air conditioning, garden view and stovetop. This apartment features a dining area, toaster and cable TV. This apartment has a kitchen, private entrance and sofa. This apartment features a stovetop, dining area and tile/marble floor. 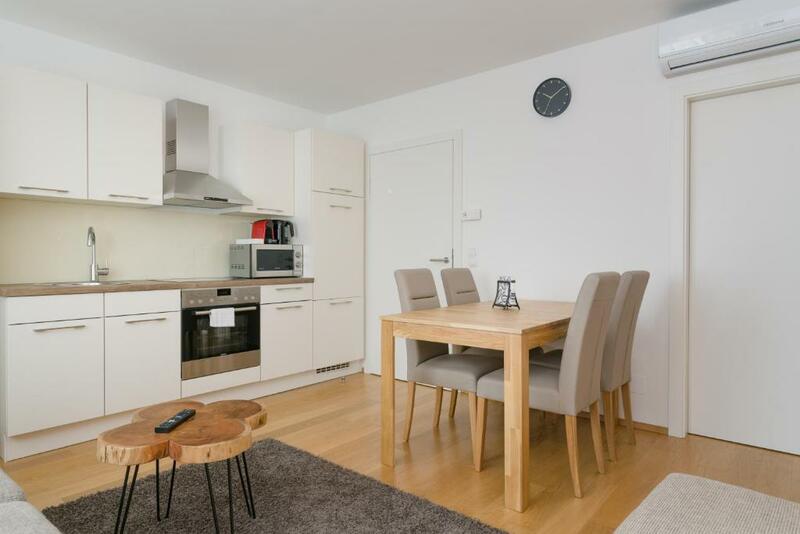 This apartment features a well-equipped kitchen and 2 washing machines. This apartment has a well-equipped kitchen, a balcony and 2 washing machines. This apartment features a private entrance, tile/marble floor and stovetop. This apartment has a private entrance, dining area and oven. This apartment features a sofa, microwave and kitchenware. This apartment has a private entrance, electric kettle and dishwasher. This apartment features a dining area, soundproofing and tile/marble floor. Please note that this room is not accessible for people with disabilities. 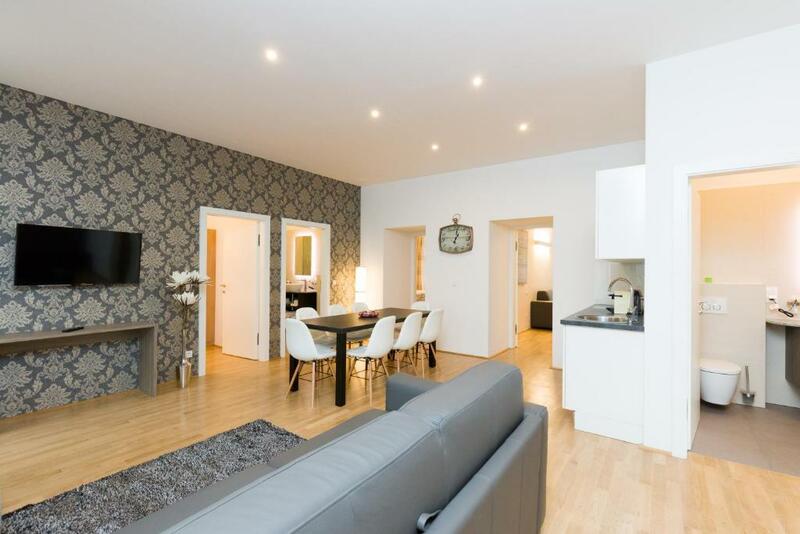 Vienna Stay offers spacious and modern apartments with free Wi-Fi at different locations in Vienna. The city center can be reached in a few minutes by public transport. • Straßenbahn 2, U-Bahn U2 Taborstraße • City Center 10 min • Wiener Prater – (1 Station mit U2 ) • Zentrum (Flughafenbus) - Ca. 10 Minuten (U-Bahn: U1) • Supermärkte in unmittelbarer Nähe • Bank Austria • Restaurants • Park " Augarten "